Mary Blaser joined Newmark Knight Frank in 2008 and brings to her clients more than 30 years of commercial real estate experience within Silicon Valley. She specializes in the sales and leasing of office and R&D properties. Prior to joining the company, Ms. Blaser was vice president of marketing at ProLogis, the world’s largest owner, manager and developer of distribution facilities. She also worked as a district manager for Deutsche Bank’s RREEF Management Company, where she was responsible for overseeing the leasing, operations and property management of portfolios ranging from 1.5 to 4.0 million square feet in the Bay Area. Ms. Blaser has represented a number of major companies, including ALOM Technologies, BD Biosciences, Ceitronics, Covad Communications Group, Finelite Inc., Konica Minolta USA, Lockheed Martin, Matsushita Kotobuki Electronics Industries Ltd., Nitto Denko America Inc., Satellite Health Care and Sony Electronics. Her extensive and diverse background as a representative of both landlords and tenants allows her to successfully manage the deal process from end to end. 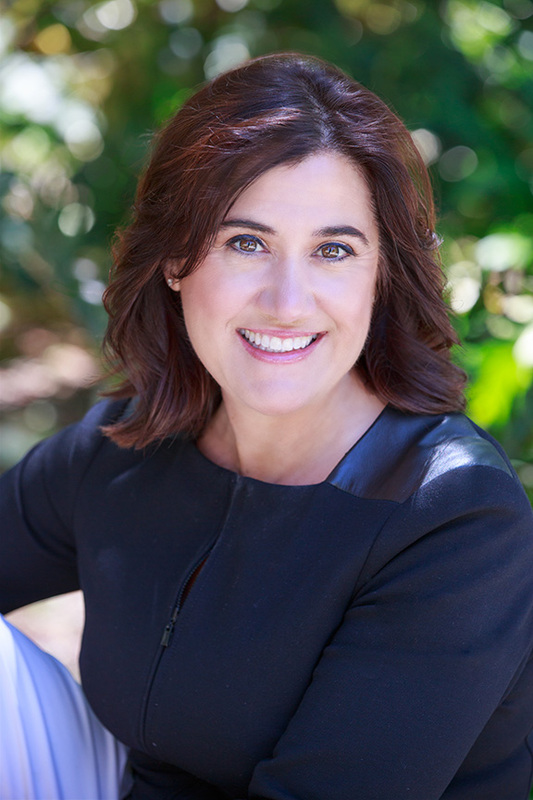 To her tenant clients, she brings knowledge of operating costs and expenses, budgets, tenant improvement construction, and the planning and permitting processes for cities in the Silicon Valley. To her landlord clients, Ms. Blaser brings an astute understanding of budgets, costs, vendors and competitive marketing. She can assist both tenants and landlords in setting and meeting the expectations of both parties. Mr. Carlos Serrano-Quan is the Managing Director of Verakin Real Estate, and international real estate brokerage with offices in the San Francisco Bay Area, and serves as the Chairman of the Chinese Real Estate Association of America (CREAA) – a leading ethnic real estate industry organization in the United States . Since 2004, Carlos has helped his private clients with complex residential income and commercial real estate transactions, specializing in the San Francisco Bay Area. Carlos is very active in the Real Estate Industry serving as an advisor to several real estate tech startup companies and real estate industry associations. In addition to his business accomplishments, Carlos proudly serves his community and the City and County of San Francisco in various positions. He was appointed by the S.F. Board of Supervisors and the Mayor as a Citizen’s Advisory Committee member of the San Francisco Department of Aging and Adult Services, and as a member of the San Francisco Department of Youth and Families Community Advisory Committee. 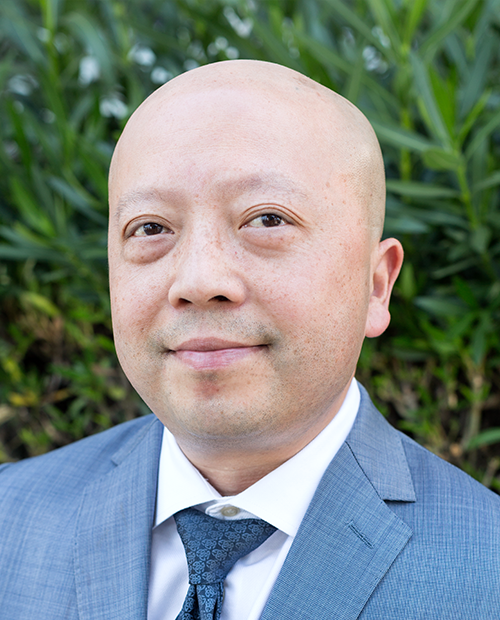 Carlos is also very active in nonprofit organizations, serving as the Executive Director of HomeownershipSF, Community Youth Center, and the Chinese Newcomers Service Center. Welcome to Silicon Valley successes. So over the last few weeks, we've talked with investment bankers, we've talked with marketing experts. We even talked to a founder of an amazing start up here in Silicon Valley. Now, today we have two guests, Mary and Carlos, who work with startups to help them find office space or to help them get from their their garage or their living room to a physical location. But let I'll let them introduce themselves a little bit more. Mary, could you first introduce yourself and then Carlos? Sure. Hi, good evening, Sean, thank you for inviting us to your show. Thank you Is my honor it Thank you. So my name is Mary blazer and I'm a commercial real estate agent. I worked for Newmark Knight Frank, formerly new Mark Cornish and carry so Cornish and carry was a boutique firm. Here in Northern California. We merged with Newmark Knight Frank. So we're now in about six continents with over 400 offices. So it's given us a bigger global platform to be able to service clients, especially those clients that are startups coming from foreign countries that need to come here in the Bay Area and establish you know, working opportunities for themselves for their for their startup businesses. And I've enjoyed a 30 plus career and my specialty is the leasing and sales of office and industrial properties here in Silicon Valley. Wow. Carlos, please introduce yourself. so to start, let's have a quick question for you. So what issues do startups face when they're looking for office space? so for some of the like Regis centers, executive suites, places where you can rent on a month to month basis, you could probably do something short term most landlords and typical office space, I'd say that the minimum terms are about a year, generally, they would like a longer term lease. But if they've got the ability to move and expand tenants within their building or their project, then some landlords are typically a little bit more flexible than others. It just depends on the size. But as far as term, it just really depends too. On which landlord in the valley you're dealing with. So with the landlord in the valley, be flexible if they know your startup or not. Carlos, if you had this same experience when with issues that that startups might face when, when looking for an office. Sure, in my experience, it's really about the right location to attract the right talent, as well as being a facility where investors may be as well. So for example, I know that talent acquisition for startups as is really challenging. And so they need to be an area where transportation tools location is actually very attractive to allow other future employees or current founders and teams of that nature because have to get together frequently. So it could be something near bar something the Caltrain it could be anywhere from San Francisco to Palo Alto. But it has to be somewhere where it's easily accessible, or some something like that, but also to be an area where their investors can use the go to, so we're ready to pitch events, etc. and that sort of thing is a really big consideration as well. So when you're showing potential locations to start up, do you actually tell them that they say this offices that are available and you know, nearby are frequent pitch events nearby, or these VCs are these Angel groups. That's why this office space might be a good fit for you. Yeah, I think that's where we can be helpful at brokers to the businesses as well as, you know, the type of business that they may have. It could be a blockchain, it could be a real estate tech startup, it could be anything other startups that we are familiar with the community, and we know, our own group of investors might be interested as well. And they get excited when they hear that, that we know what their needs are. Yes. And one of the things our firm can do is we can, we can tour them in the markets. But we can also show them aerial maps of what companies are located in the areas where they would are potentially looking to go. So, you know, if they're trying to interview or recruit people, potentially, from other competitive companies, they'll know where they'd like to potentially be located. right, that's nice. I've never heard that before. And also, they're looking at the demographics to of where their employees technically live, okay? And how close they're going to need to be in proximity to where they want to work. So that's another absolutely important we can do, we can run demographic studies for them by zip code, you know, they give me their, the weather each of their employees live, we can kind of map it out for them. So they can also from another perspective, try to find a location that suits everyone's needs. So I have six employees, for example, and I would come to you and go, we need to move out of my apartment to an actual location right now, you would tell me, you know, this is where your next hires might come from these these these companies, this is where your current employees live. And this would be the best commuting routes? What other information could you give me? Well, I mean, what I would really give them as help them prepare for potential space that they're interested in, they may not know that it requires financial qualifications, as well as a business plan, as well as a personal guarantee, because Atlanta are looking for a tenant as really qualified and fits in their building. So it's a lot of preparation work that you have to do with a startup and they might not be aware of they can do you think they might be just like signing a residential lease, but it's quite different is more of a business relationship, and there's a fit with the building as well. So we'll go into more detail about that is Mary, you'd like to add, because I really have no idea about this business relationship, please tell me more about it. that in research and development, right. And so in those types of buildings, you're going to have power requirements that can be different than your typical office building. So with their technology, they may need, for example, some higher amperage in power 400 amps, or up to 1000, and it just depends, but they need but that's, you know, we need to ask those questions and, and help them figure out what their needs are, from that perspective. Clear, high rise, building high ceilings, roll up doors and sort of knock on doors for deliveries. So how much do you actually have to know of the startup? What they're doing their product, what they're working on, in order to give them the best option for them? a tenant proof is really the the criteria and the preparation of the space for the channel to operate in their own business operations. So it's a matter of for example putting up walls putting up offices conference rooms, it could be a kitchen at it could be something like that. So it really up to the specs and design of the tenant and then that will be negotiated with the land or who pays for what how much of free rented they can get. And that's what this is where the brokerage come in. And you can negotiate that on behalf of the tenant and landlord. So the broker come in and you go to the broker, listen, I want one month free rent or three months for your and what's common and what areas can a broker negotiate for the landlord or the tenant? Well, in a tight market where the rents are really high, and it's very competitive, landlords can call the shots if they don't want to give free rent. They don't have to give free rent in a softer market, I would say one month of free rent for every, you know, two years or two months free rent for a three to five year type term. But that would be really saying a corporation that right? I mean, just a start up what's a typical startup? least six months? A year? Two years? And if, say, 11 months in the startup goes, you know, we're have to file for bankruptcy. Sorry, that personal gain or tea, I really have no money because I spent all the startup what happens that? Well, we as brokers can help to market the space and try to get another tenant to backfill and take that obligation off of the tenant. Technically, they're still obligated until we can, you know, relate the space, we can tell the landlord landlord may have another tenant because they do a lot of marketing as well. Some of them they may have someone might want to just backfill that space. So it just really getting the word out and trying to help these people and and make it this pain much as possible. Do landlords every go to tenants and go listen, I have someone else that wants to pay more than what you guys are currently paying. I'll give you some money if you leave. That's happened. It couldn't happen. Yeah, a lot of times, what happens now is that, you know, the climate is very kind of like, unpredictable. So you have a lot of tenants that are either downsizing or they're expanding. And so they need new space, it may want to abandon the current space, so we can help sublease that space as well. And if they need to leave early, then we can help them something excess space as well. So it really determines a lot of communication between us brokers and the tenants and allowed to Mike Phillips and as well. So how often should the tenant be talking to you every three, four months or monthly, I recommend it because I put a client in a space back in October, and by May of the phone year, we were looking for a new space, then they had signed a one year lease obligation. So every couple months is a good idea to be just on them, checking them. So you say your broker is actually part of it, your team, almost like your lawyer, your accountant, bookkeeper, that one guy always they're looking for that next operator space for you? the amount of people that they're bringing on in their space needs to drastically change when they get to those levels of needing bigger space to brokers also make other introductions to uh, maybe to investors or potential business partners or to brokers ever reached out to their personal network and say, Hey, I have this startup here, I'd like to introduce you to is that ever happened? Yeah, that's a good, that's a great question. Actually, for me, I do. Because I take an interest in the tenant, I take an interest in a company because I've learned a lot through the process of helping them qualify. And then in their process, I actually asked them, you guys need help with funding, when's your next event would you like to be close to another type of 10 or type of investors because we'll know who's in a building or who's nearby. And so we, I like to connect them in and make sure that they're also successful in their business. Hopefully, we play a role in that because a successful 10 that will be a successful future business and they might grow and we can help them there as well. And then the lender will also help out because they will know that the they want that tenant to be financially successful. So that it can, you know, grow and take care of your property. tell me a story there. No, I just know that they that that's been a discussion it's not something that they would always do. Okay. But potentially that came up quite a bit. so sir. Some you got to understand there's some that are smaller landlords that may take a risk big land or to institutional guys have multiple tenants in your office building, that probably is not going to happen. Interested? So some of our viewers are overseas and countries such as China and Korea all over the world. How's it different for them? When they come to Silicon Valley? What questions should they be asking? I mean, they don't have a US credit history. They may not have a credit history at all, Jenna, where they're from? How does How did they go about finding a location? so if I'm a company from will say, Ukraine from unit city from mats area, who was a guest earlier, and I come to Silicon Valley from day one, I found a location How long does it take from when I when I decide to location, or when I connect with you to start looking for a location to sign a lease to be able to move in? Can this be done in a month? Or is it a lot longer, lot shorter? Yeah, I don't think a month will do it, in my opinion, depending on how ready the company is overseas. Because I work with a lot of companies overseas, that are just not aware of what the due diligence requirement from a landlord to a tenant or and allows a lot of landlords, you know, since you're coming from overseas, that level of trust is not as strong as a local company. And it takes them time because they're traveling back and forth. And when they're here, they're seeing things, but then they go back, and then they're reporting their directors. And then maybe those folks need to come out and see the property. And there's, there's a lot of back and forth, back and forth, that initially could happen in the first two to three months of helping this client even identify space. So you'd recommend an overseas founder, one, one of the people on his team to come to Silicon Valley, meet a broker, build that relationship on maybe trip one trip to come see a few locations, Chip number numbers, three, kind of make the decision and then trip for I mean, that's, that's normal. That's normal. is there any like vocabulary, sedation, no price per square foot, or things like that, that they know before meeting you could save a lot of time. What what uh, what advice would you give a founder out there that hasn't found any office space yet that's still working at home on when they first talked to landlords or what they should be thinking of other than what we've already talked about. So far, we've talked about location of your employees, we've talked about transportation, we've talked about lease options. We've talked about talking to brokers who can make introductions, this is all amazing. what's what's more to to know. not really hot water. But it's just something that they you know, it's not easy language for them to review on their own. Okay. And so they should have a second pair of eyes to take a look at that and what their needs are. as far as leases are concerned, is mostly big bosses to think about their distributed strategic location where they want to be and it fits your needs. I mean, that's the bottom line. I mean, I think that they allow them made think that they need a certain thing, but a lot of times, it's better for them to be in a shared environment, or maybe find somebody that has a complimentary type of business with them, that they can go in together, there might provide some synergy to them. And you can make those kind of introductions as well. That's great. And married before time runs out. Yes, please talk about how people can contact you and a little brief overview of yourself one more time. we have our company website WWW dot NGK f.com as well. Carlos Carlos Toronto climb one number 415-608-8409 and we have dedicated tenant representation agents in my firm. That's great. So Mary Carlos, I want to thank you guys for taking the time coming here on Silicon Valley successes and people at home. For further information, please visit our website. Silicon Valley successes comm check us out on YouTube, Facebook, and all the other social media and we hope that you got a lot out of this. And in the future, we're going to have more guests from investment bankers, bookkeepers, we have some amazing founders coming up in the next few episodes. So we look forward to to your future attendance. And thank you again for taking the time to to to watch.